Having an outside tap in your garden can be very beneficial. This can make the watering of your plants or the washing of your car much easier and faster. However, installing an outside tap in your garden may require step-by-step procedures that you should keep in mind in the first place. 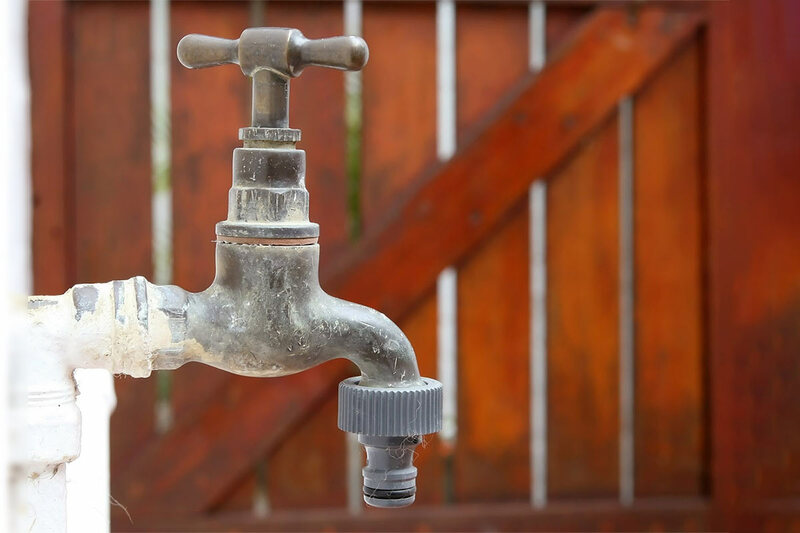 If you’re doing the plumbing project by yourself, here’s what you need to know when fitting an outside tap in an efficient manner. 1. Prevent the freezing of the pipe. To get started, don’t forget to fit the outside tap a few centimeters above the ground. You need to make sure that the tap is higher than the area where the connection of the pipe takes place. Also, be sure you drain the pipe during winter to avoid the possibility of freezing. More importantly, keep your new pipe as short as possible to prevent freezing. 2. Consider pipes of different diameters. In most cases, the main water pipe may have a large diameter. This means you have to work with pipes which have different diameters by making soldered joints. However, if you opt not to make any soldered joint, then using compression fittings for all pipe diameters may be a perfect idea. 3. Look for the right location. Of course, you can’t simply fit an outside tap wherever you want. That’s why it’s best to find the location where you like to fit the tap. Consider in this process the place where the pipe has to be connected through the wall. From there, you may drill a hole through the wall with a minor slope to prevent rainwater from coming in. Fit the tap to a wall plate and place an electrical conduit pipe through the hole. Then, use sealant to fill in any gaps. For the pipes, you may have the option to bend the pipes yourself or utilize elbow fittings instead. But, if you want greater convenience, using the compression fittings is an advantage. 4. Turn off the main shut-off valve. Before doing the job, don’t forget to turn off the main shut-off valve. On the other hand, allow the pipes to drain by opening all the feed valves. 5. Insert the T-piece into the feed pipe. To connect the outside tap, the next big thing to do is to look for the place where you can attach the T-piece in the feed pipe. Once you find the location, it’s time to cut through the feed pipe using a hacksaw or a pipe cutter. Use a wet and dry sandpaper to sand the pipe. However, if you think there’s a limited space to work on the pipe, using an angle grinder can be an option. 6. Make use of the compression fittings. This is one of the simplest ways to connect copper pipes with ease. These fittings are even available in different shapes and sizes. For the fitting of the T-piece, glide the nut and the compression washer. After which, shove the T-piece toward the pipe and the compression ring onto the T-piece. Be sure to tighten the nut until such time when the T-piece is already tightened onto the pipe. Check whether the nut turns smoothly. 7. Tighten the nut decisively. Use an adjustable wrench to tighten the nuts firmly. Remember, the tightening should be done in a careful manner because the copper can be easily damaged. In fact, one turn of the nut may be sufficient to make sure a tight seal. 8. Fit the drain tap. The next step is the fitting of the drain tap at the lowest part in the pipe. That way, the draining of the pipe in frosty weather will be easier. Also, ensure that all other parts of the pipe are higher so you’ll be able to drain all the water from the pipe. Mount the pipe to the walls using brackets or pipe clips. 9. Fit the wall plate. Install the wall plate near the place where the pipe comes through the wall. Create a mounting hole in the wall, attach the wall plugs and put the wall plate. Fix the pipe to the fitting located in the wall plate and ensure everything is securely tightened. Make use of a tap with an aerator to prevent water from the hose which is connected to the tap from flowing back onto the feed pipe. Apply PTFE tape all throughout the thread of the tap and fix it to the wall plate. Then, turn on the main shut-off valve and inspect for leaks. Always keep in mind, fitting an outside tap is considered a straightforward project. The work, in fact, includes drilling, the connection of the pipework and more importantly, the fitting of the tap. Hence, if you’re not confident to perform the job by yourself, it’s recommended to call a professional plumber instead. However, you should also opt for a water heater repair if you want your outside tap to supply sufficient hot water.